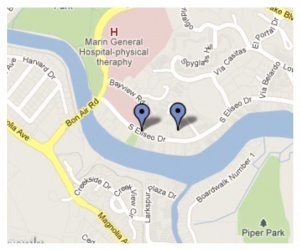 Contact Audiology Services of Marin at one of our two locations. We are committed to providing exceptional audiology services to our patients living in Greenbrae, CA and surrounding areas of Marin County. Do you have a question about hearing loss, hearing aids or our services? Are you looking to schedule an appointment. Please fill out the form above and we’ll get back to you as soon as possible. Thank you for choosing Audiology Services of Marin for your hearing needs.